This is a traditional London Taxi now retired from working in London, restored to a very high standard and available as wedding transport. 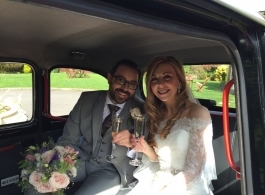 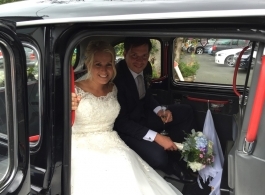 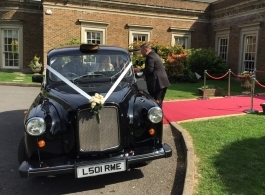 The rarity of the Black Fairway Taxi makes it an ideal choice for a classic London themed wedding and it is suitable not only for the Bride and Groom but is also great for Bridesmaids and / or family members. 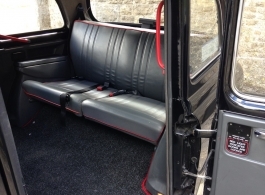 The taxis can seat 5 passengers , 3 along the rear seat and 2 on folding rear facing seats. 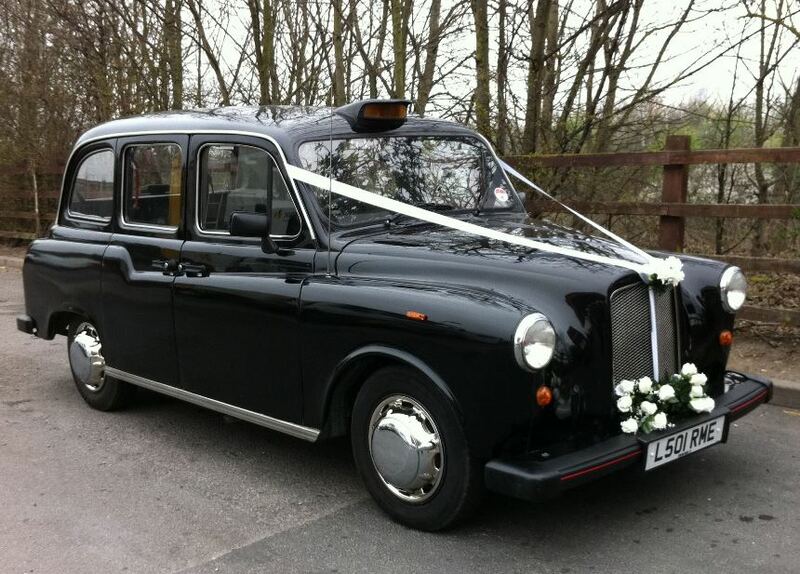 They come with a professional driver and are decorated with white ribbon. 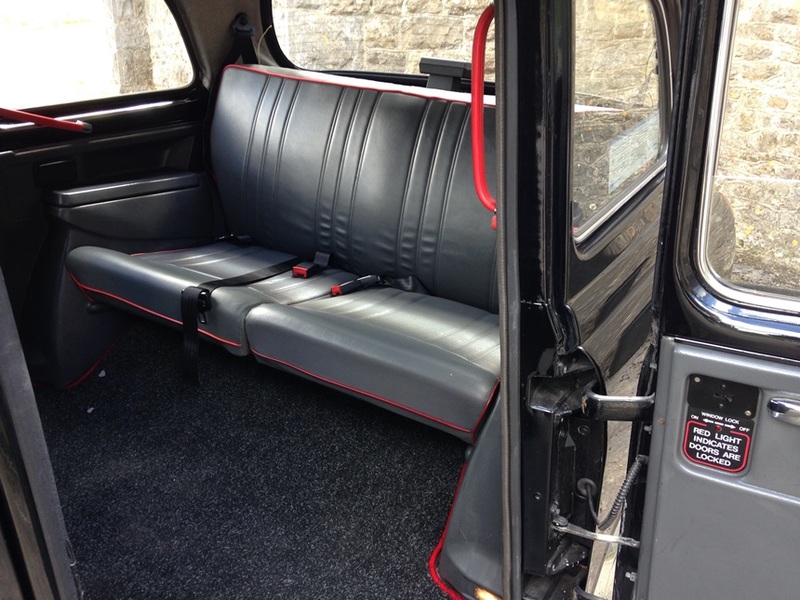 Both taxis are wheelchair compliant.